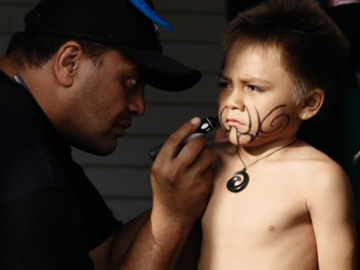 Short film The Road to Whakarae is built around a special place, and a special song. 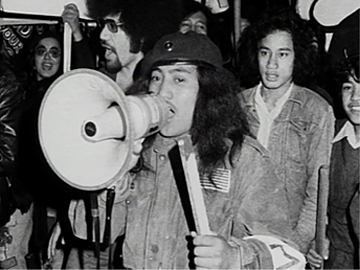 Keen to celebrate home and the joyful aspects of the Tūhoe people, local filmmaker/artist Tim Worrall and cousin Aaron Smart (whose wife is from the area) crafted a love letter to the Waimana Valley, by expanding an old Tūhoe party song about “a windy, dusty road” and inviting various locals to sing a section each. 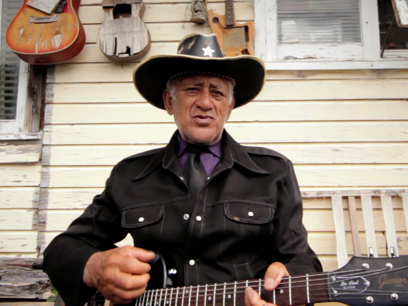 Made for online viewing as part of the Loading Docs series, the film starts with local musician and kaumātua Beam Titoko on guitar — and ends with a kiss at the marae. 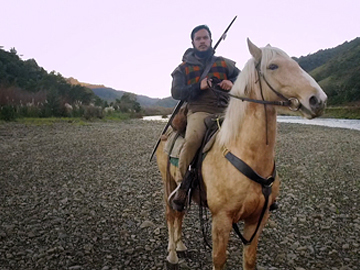 This Te Ao Māori take on Hunger Games follows bushman Owen Boynton as he straps on his bow and travels across Aotearoa, to explore traditional hunting techniques and skills, and the kaupapa behind them. In this first episode Tūhoe-bred Boynton returns to his Waimana hometown to pay his respects to the forest, and hunt with whānau to provide kai for their community. On the riverbed the dogs round up a couple of deer, and he gets an anatomy lesson from his uncle. 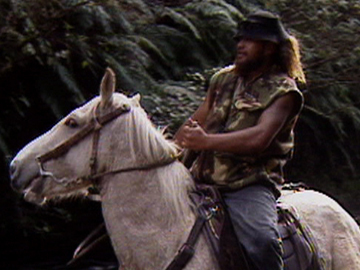 Toa Hunter-Gatherer was produced by Julian Arahanga and Awa Films for Māori Television. 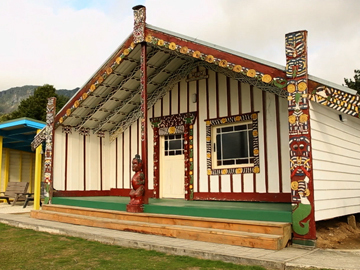 In 2014 Ngāi Tūhoe completed construction on Te Uru Taumatua, a sustainable ‘living building’ built entirely out of materials sourced from Tūhoe land. 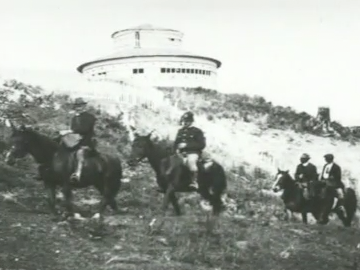 Ever the Land captures the construction of the building, from its initial design stages through to its opening, and explores the history and values reflected in its design. Premiering at the 2015 New Zealand International Film Festival, Ever the Land is the debut feature as director for German-born editor Sarah Grohnert.